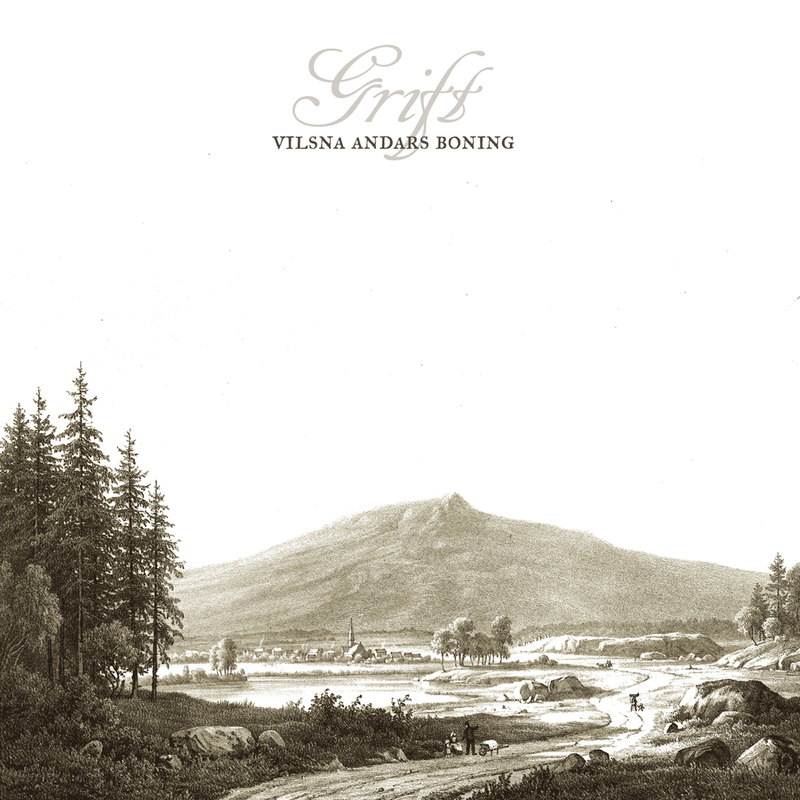 Fans of Sweden’s Atmospheric Black Metal band, Grift, should be accustomed to Erik Gärdefors’s habit of releasing EPs. Vilsna Andars Boning, the one-man band’s latest release is now their seventh EP. Retaining the same mood as previous efforts, this new release scales back the sound, though. Unlike the past, this EP contains no electric instruments whatsoever. For the most part, it is simply Erik and his acoustic, though there is some horn and flute played in the background on parts. The first track, “Bortom Berget,” starts off with the ring of a bell and a flute before some light acoustic strumming. As the strumming picks up, the clean vocals come in creating a rich folk sound. This is acoustic folk music that transcends the past and genre, and it is sung beautifully with some unique vocal harmonies toward the end of the song. One can imagine being seated by a camp fire listening to the music in the frosty wilderness or standing in the court as the song is being played before the King at Uppsala. “Dåranas Massiv” is the second and last song, and in contrast to the first song, the guitar work is predominantly picked, though there is some strumming that occurs later in the track as the momentum is increased. The howling at the end of the song causes one to envision the singer standing in the barren forest and howling at the moon. It truly doesn’t get more organic than these two songs. Since folk and acoustic elements have been an integral part of Grift’s sound throughout its history, it should not be a shock to fans that this release is so stripped down. Erik Gärdefors has used the mountain Kinnekulle as a metaphor throughout his music and the folklore and traditions surrounding it form the basis of the theme to the album. Eric writes that the mountain is supposed to represent something solid and unmovable for one to focus on in order to escape into one’s imagination. This is truly music to relax and lose yourself in, allowing your thoughts to carry you off someplace else. Those that came before and their relation to music, heritage, and folklore can be pondered. When one loses their concept of self, it can be easier to envision their role in the greater scheme of nature and the earth. Eric writes that his music is intended to bring some to a place they are truly lacking where they can ponder the existential and melancholy. In this age of technology, computers as phones, and social media leading to issues of losing privacy, it is both refreshing and bold to be able to bond with music so deep that it speaks to the soul causing one to contemplate their own role in nature and the power within, their bond with all living things.